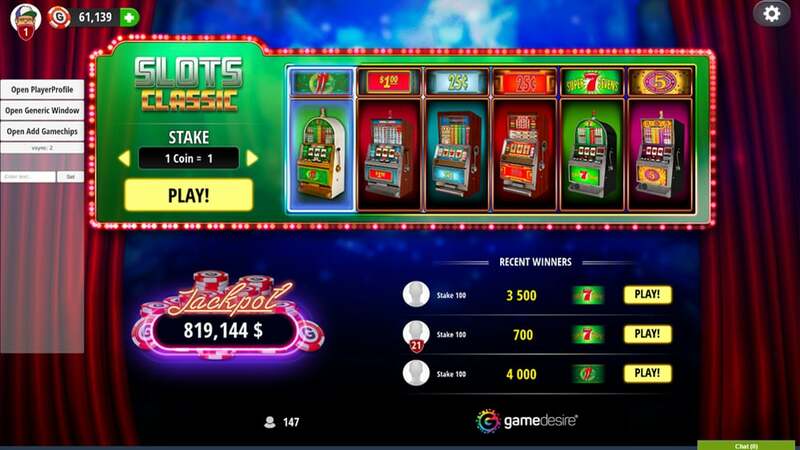 Casino Slots games by GameDesire - Play online for fun with friends! Big fun and great opportunity for you to win a juicy amount of GameChips! This game is intended for use by adult audience for amusement purposes only. Casino Slots does not offer real money gambling, opportunity to win real money or anything of value. Practice or success at social gaming does not imply future success at real money gambling. It’s a fact that video games are great fun which can help you destress and forget about all your day to day problems. This is, among other reasons, why gaming machines have for many years enjoyed popularity around the world. 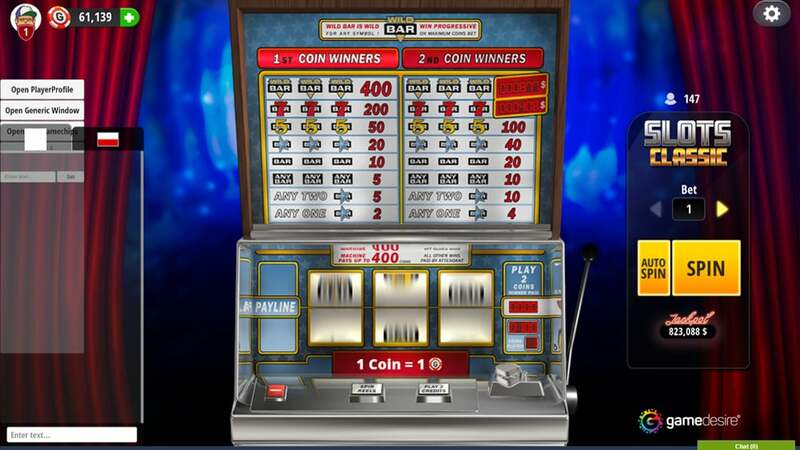 Slot machines are usually found in casinos and amusement arcades. But what if you want to play but there are no machines in the neighbourhood, or you don’t want to leave the house? 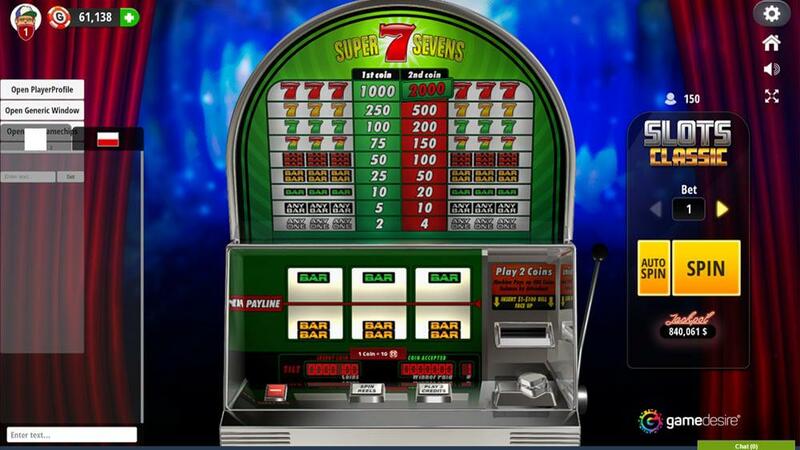 All kinds of video slot games offer the solution, for these are slot machines, transferred directly to the virtual world. Instead of sitting in front of a large physical machine, you can play at home on your computer or any mobile device with Internet access. There is also a remarkable variety of video slots, with virtual machines offering a rich variety of graphics, games and stakes. It means that everyone can find something to suit them, and there’s always something new.
. Virtual machines to play surprising wealth of prints, many kinds of games and stakes, on which you can play. Everyone will find something for everyone, there's always something new. You can play casino slots completely free. Simply sign up at GameDesire, and you're ready to play. There is no need to install any software or make any payments to be able to enjoy the game. Casino slots is a pleasant way to pass long hours of free time. Starting the game couldn’t be easier! Simply launch the video slot game, decide the stake for which you want to play and the number of lines for random combinations, and… that’s it. There’s nothing more you need to do, and everything is automatic. Sit back, watch the spinning reels, and cross your fingers for maximum bonus combinations. Older video slot games offered three reels, and virtually no bonuses. Today, most games draw on five reels, which means more wins, and there are many bonuses for the right combinations. 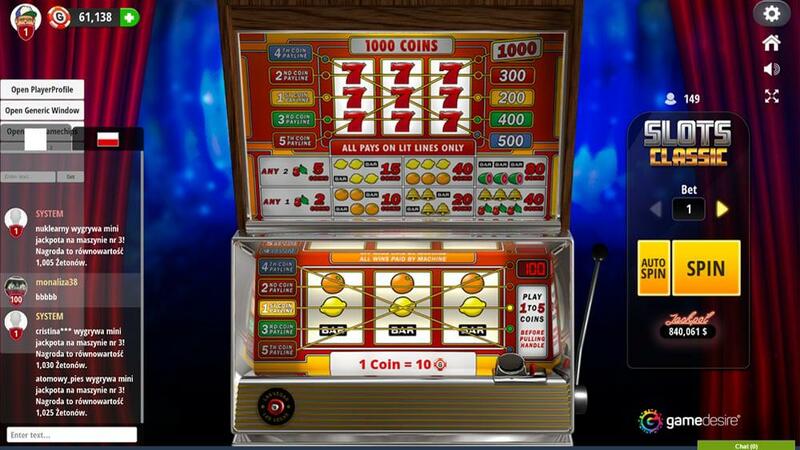 When playing casino slots you can allow the machine to spin for you. However, if you feel lucky you can spin the reels yourself, so you will feel like you are in a real casino. Do this by clicking the appropriate button on the game screen. You will set in motion beautiful and colourful symbols that eventually stop and to reveal a random sequence – one of which may ensure your win. Casino slots online is great entertainment appreciated by players from all over the world. By playing online, you will have the opportunity to compete against others who, like you, are seeking fun and no small measure of excitement. Spin, earn points, and climb to the top of the rankings! Your position in the leaderboard of best players is determined by the number of wins that you get. Success at casino slots relies mostly on luck, but you can raise or lower the risk depending on the stake for which you are playing. The higher it is, the more you earn, resulting in a higher position and bigger pot of chips. If you’re not so lucky in such slot machine games, check out poker games online, where you can show off your mathematical skills. When playing casino slots online, you don’t need to be 100% focused on the game – and what’s wrong with that? Everyone requires something different in terms of entertainment and pastimes, and if a less demanding game suits you then take advantage of it. And when you’re ready to give slot machine games a rest, check out Last Temple to find out how entrancing board games online can be. For simple relaxation and fun – casino slots does just the trick. If you want to have your favourite game wherever you are, you’re in luck – for casino slots online is available for a variety of devices. Play on your computer, on your tablet, or on your smartphone, no matter where you are or what you are doing. How to play Casino Slots? Choose virtual cash to start a game and put Bet button. Run machine by spin lever or clicking Spin Reels. You can pay cash from machine at any time by clicking Withdraw.